China is like a tale of two cities. On one hand, it’s heavily industrialized. It exports some of the most important products in the world, and the world’s economy is heavily reliant on it. If it weren’t for China, the world’s economy might collapse. On the other hand, China regulates the internet like no other first world country out there. If you live in China or if you are simply visiting for business, you have dealt with this firsthand. You know how difficult it can be to get any information on the internet in China. Simply surfing the web is difficult. This is because of the Golden Shield Project. This project keeps information out of the hands of the people of China. Commonly referred to as the Great Firewall, the Golden Shield Project is a surveillance and censorship project in China. The purpose of the project is to prevent unfavorable information from making it into Chinese citizens’ hands. 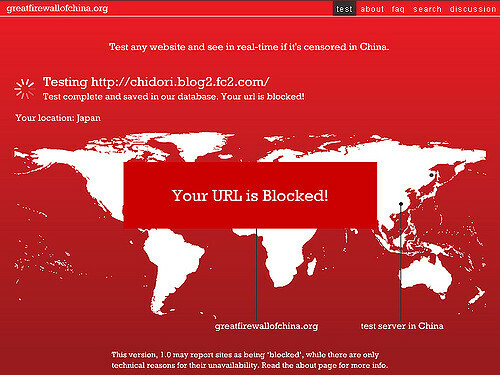 In order for that to happen, the Chinese government blocks a multitude of foreign websites. Basically, if the website contains something that makes China look bad, people can’t see it. This is a far cry from what people can see in other developed nations. In other countries around the world, people can see what they want to see, and then they make up their own minds. In China, the government makes up their minds for them. There are two problems with this issue. First, of course, there are the average Chinese citizens who need to have access to more information than what they can get. Being trapped in a bubble is dangerous. It is not safe to not know what is outside of that bubble. You see it over and over again in history. People don’t know what is going on in the world around them, and they suffer because of it. That suffering often leads to a great deal of devastation. Then, you have the businesspeople. They are people who are traveling to China on business and need access to the news from home. If they can’t get online, they can’t get access to that news. That is also dangerous. It could actually harm their business if they can’t get access to the information. They have to be able to stay on top of affairs when abroad. Both problems have the same solution. You just need a proxy, and you can access any site you want when you are in China or anywhere else in the world. With a proxy, it will be like you are somewhere else instead of China. Then, you can bypass the Great Firewall and get access to the same sites people get in the United States and everywhere else in the world. It doesn’t matter if you are a Chinese citizen or a businessperson traveling to China. A proxy can help. Let’s look at how a web proxy works. Then, you will understand why these are becoming so popular in China. When you choose a proxy, you get to pick from a list of locations. You can choose from locations from around the world. That means that if you’re located in China, you can choose a proxy that is in the United States. Then, when you log into the internet, the site will think that you’re coming from the United States instead of China. Then, sites that would normally be blocked won’t be blocked anymore. It will look like your request is coming from the U.S. instead of China, so you will be able to access sites you wouldn’t normally be able to access. Because you’re trying to get around the Chinese firewall, location is the first thing that you want to look at when choosing a proxy, whether you are going with a public or private proxy. If you go with a private proxy from Blazing Proxies, you can contact us and choose your location. We will give you a proxy from the location of your choosing, ensuring that you are able to lock into the location that you select. That makes it much easier to get your desired proxy. Then, if for any reason your proxy is blocked by the firewall, you just have to contact us, and we will give you a handful of new ones. If you choose a public proxy, select one from the United States or Britain. These are the two best locations. If you can’t find one from these two locations, avoid proxies from the Middle East. Proxies from the Middle East tend to be slow and unreliable, so you won’t get the type of service you want when using your proxy to surf the web in China. You also need to check the proxy’s latency. The higher the latency, the longer the lag between accessing the information that you want. Many public proxies are already slow, so if you have a high latency, you could end up timing out before you are even able to access them. 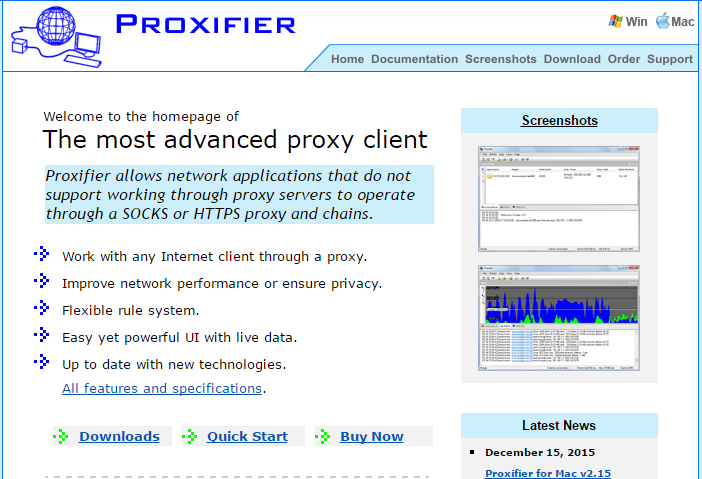 Use a proxy checker, like Proxifier, to check the latency if you’re using a public proxy. If you use a private proxy from Blazing Proxies, you’ll only get proxies with low latencies so you won’t have to worry about it. Now that you know what to look for, you’re probably ready to get a proxy, log in, and start surfing. Before you log into a proxy, cool your heels just a bit. You need to stop for a second and look at the legality of it. While it’s never fun to think about the consequences, China is not a place where you want to throw caution to the wind. Take a minute to think about the possible repercussions for using a proxy before you move forward. It is technically illegal for someone inside of China to bypass the Great Firewall. While Blazing Proxies can safely offer proxies to people in China, those who are inside of China have to operate at their own risk. It’s impossible to know how the Chinese government tracks or records web traffic, including web traffic that comes from proxies. While proxies are anonymous, all web traffic can be tracked and recorded to a degree, and there is no telling how the government might handle the traffic. Regardless of how you intend to use it, it’s important to understand that you assume a certain risk anytime you break the law. Many people are doing it, but that doesn’t mean that you don’t run the risk of getting caught. The Chinese government is volatile at best. It is impossible to predict what its next action will be, and its human rights and free speech violations are mind-numbing. Keep that in mind before you move forward with using a proxy in China. Because you have to deal with the legality of using proxies in China, you also need to be mindful of sharing proxies. Whenever you share proxies, you are sharing IP addresses with other people. If someone is downloading government secrets or trying to figure out how to overthrow the government, you could be lumped in with that traffic. You don’t want that to happen. It’s best to go with a private proxy so you are only responsible for your own web surfing. That way, you won’t stand out to the government. Also, the government won’t find a bunch of traffic from a single source. That will stand out and make it easier for the Chinese government to track the source down. You want to be as anonymous as possible, and a private proxy is the best way to accomplish that. If you get a private proxy from Blazing Proxies, you will be much safer than you would be if you went with a shared or public proxy. Safety should be at the front of your mind when dealing with the Chinese government, so don’t take this lightly. The safer you are, the less likely you are to get caught using a proxy. Thus, you want to do everything in your power to be as safe as possible at all times. While there is not a foolproof way to move forward, there are some additional tips you can follow so you can fly under the radar while using a proxy while in China. First, do not make any volatile posts online. You might feel angry that you have to use a proxy while in China, but don’t make it known online. Advertising the fact that you’re using a proxy and you’re angry about it is a surefire way to get caught. Keep your feelings to yourself while you are online. You can talk about them to your friends later, when you are safely back at home or hanging out at someone’s house. Don’t air your grievances online, where a member of the government could easily see them. That is an easy way to get busted on websites that you should not be on. Also, keep your web browsing at a PG rating. Don’t browse any pornographic material, and don’t browse anything that would be viewed as combative toward the government. All of your browsing should be safe and easily justifiable. If you’re on a site about how much you hate the government, you’ll have a hard time explaining that away. Stick with your basic news sites and maybe some social networking sites. That way, you won’t have to spend a lot of time explaining your actions. Finally, don’t share your information with anyone else. You might want to give your proxy information to someone else so he or she can log in with it, but that would be a bad idea. Proxies aren’t expensive, so your friends can get their own. Let them do just that so you aren’t responsible for their actions. You don’t want to have to explain why your friend was on a site about overthrowing the Chinese government using a proxy that you purchased with your credit card. It’s much easier if you keep you proxies to yourself. There are two extra tips you need to keep in mind before moving forward. These tips will protect you if you decide to use a proxy in China. First, if you decide to get a proxy to browse the internet in China, get several. China is constantly beefing up security, so you need to be ready with a list of proxies. They are constantly changing, so you might have to switch to keep up. Otherwise, you could end up without a proxy that works. Second, beware of free proxies in China. There are a lot of scams out there. There are hackers just waiting for you to give your information up to them. Don’t give them the satisfaction of giving them everything they need to steal your identity. On top of that, many people use free proxies to conduct illegal activities. You can be associated with those activities if you join in with those proxies. That is another good reason to steer clear of the free proxies. Go with a paid proxy and enjoy some peace of mind. You will sleep much better at night knowing that you have not done anything wrong, and you can’t be linked to any serious crimes based on your internet activity. Sure, you’ve accessed the internet, but you haven’t done anything serious like some of the people on the free proxies have. Now you have a big decision to make. Should you move forward with a proxy for browsing in China? These proxies will allow you to bypass the Great Firewall, but they do come with some risks. Keep those risks in mind if you decide to move forward. If you’re willing to accept the risks, you can be browsing in no time at all.